One of the biggest threats to VPNs is the law. Several countries are trying to ban VPNs completely. The UAE has already achieved its goal and using one carries a prison sentence. China and Russia are following close behind; China made its first move in July 2017, when the country’s most popular VPN was instructed to cease operations. In the same month, Russia took to a legislative approach to introduce a bill intended to ban VPNs completely. But, the law is not the only thing that could disrupt an otherwise rosy future – there is also Google. It’s against Google's interest to allow IP changing; it is not in line with their advertising goals. If they cannot track you, find out where you live, and what you like to buy, how can they tailor adverts to suit your needs (or their pockets)? 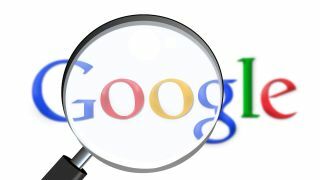 Faced with loss of revenue, Google could disrupt the process by building VPN features into its search engine. Google has already confirmed that it is working on an internal "aggressive ad” blocker, so it shows that they can "cross the line" and take a more active approach to listening to users. The future also holds opportunities for VPN providers. Many Antivirus companies now include VPNs, including McAfee and Kaspersky. While this might seem like competition for VPN providers, it actually provides them with an opportunity to offer antivirus protocols and enter the market of antivirus software. More antivirus software available to the public means less harmful files that can reach your computer. However, one thing VPNs must focus on is simplifying their approach. Users don’t always know what they want from a VPN or how to use a VPN. For instance, let’s say someone wants to watch Hulu from Spain. That person might not know that they have to select a US IP address in order to watch Hulu. To compensate for this, VPNs must change their platform to fit their core demographic, whether it’s for the tech nerd or for the average Joe. Those that don’t do this will see their market share drop. One of the biggest fears for VPNs is that the service itself could be turned against its users. For example, a surveillance organization can create a free VPN service, and suddenly they have access to a lot of data that users would rather keep private. A hacker could apply to work for a VPN company and create a back door for user's data, even if the VPN itself is honest and does not keep logs. There is already a plethora of conspiracy theories that believe many free VPNs are controlled by the Chinese government. Of course, if you worry about every possibility, you would never turn on your phone, let alone open a web browser. What this brief run down shows is that there are many agents involved in deciding the future of VPNs, and only some of them are within the VPNs control. However, that does not diminish the importance of those that are.